Gorgeous Romanian peasant top embroidered with traditional patterns from the central - South part of Romania. The Romanian dress is hand embroidered blue cotton threads and white silk treads. The fabric is fine gauze cotton. The blouse have adjustable strings at sleeves and neckline. Worldwide delivery for Romanian blouses and traditional clothes! 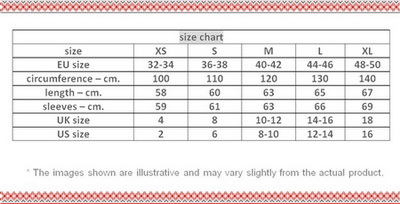 Internationally shipping cost starting from 9,6 EUR/blouse. Hand Embroidered Blouse care: Hand wash at max. 30'C. Ironing.